Amidst the sensational triple conjunction of Jupiter, Chiron and Neptune in Aquarius will the Gemini New Moon take place, bringing the notion of duality to a new height. Our society’s overemphasis on quantity has triggered a process of equilibrating by qualitative factors to counterbalance the emptiness within and the wastefulness without, which is supposed to fill the void created by our dissociation from the cosmos, whereby we incured the split of body and mind. With the advent of industrialization, which gave rise to our current Age of Technology, the outer world has outpaced our inner clocks, thereby disconnecting us from the rhythms and cycles in time and space. Recently, as the structures of our society have begun to crumble and to break apart, the pressure of these harsh realities has awakened an increasing number of the populace from their mind-numbing state, defining of our drug culture, as well as their addiction to consumerism and fear. Knowing that humanity can’t continue in this way, most of us have been embracing change and turned back to a simpler lifestyle, revering the things and rituals that are truly enriching for our Beingness. Thus, symbols that once ensouled our hearts and minds are undergoing revival, resuming their intented meaning and purpose in order to bind us together in the spirit of community, which could ultimately lead to the proposed ‘brotherhood of nations’, proclaiming the Age of Aquarius. The seed has been planted for the elevation of group consciousness and for every individual to aspire toward higher ethics, while at the same time rediscovering deeper values. In the lunation chart Mercury Rx in Taurus, Pallas in Cancer and Mars in Aries are engaged in a lesser asymmetrial triangle that shows our will struggling with habitual thinking patterns we seem to follow too easily, because we’ve become so accustomed to this way of thinking that it almost feels natural to take this approach. Venus in Aries’ aspects to Juno in Pisces and Vesta in Gemini urge us toward awareness of this dynamic that also underlies our principle of relating and encourage mental flexibility, but also remind us to remain determined in our overall demeanor. From May 26th to the 28th will Mars and Pallas contact the triple conjunction in Aquarius that is linked by semi-sextile to Uranus in Pisces with sextiles and quincunxes, respectively, in addition to the semi-sextile and trine they will form with Uranus. Suggested by this symbolical picture is that we’ll be provided with the opportunity for reorientation as it could become clearer how we derive at our conclusions and which judgments guide our personal opinion during the process. Once we realize the subjective coloring of our perception that is assisted by our imagination and for some also by a negative outlook, we might feel inspired to get to the root of certain preconceptions we hold for the reformation of mental constructs, which might have kept us fixated on projective or speculative outcomes. Jupiter’s perfecting conjunction with Neptune could add dimensionality to our viewpoint in this context, for better or for worse, and has the potential to expand our mental horizon into as yet undiscovered territory. Therefore, to see another side of an issue could be supportive as well as conducive for our Self-improvement as we could feel compelled to look at our role in the scheme of things under the light of incoming messages or insights, indicated by the Sun in Gemini’s square to Ceres in Virgo and semi-square to Eris in Aries. Venus will form a conjunction with Eris and a sesqui-quadrate with Ceres on the next day, May 28th, while the latter will cast another sesqui-quadrate to Eris. Consequently, thorough Self-evaluation might be triggered to enlighten us about our preconditioning and prefered approaches. Emotional stress could lead to a carthasis, which ideally will uplift us and result in release and relief. Prior to the First Quarter Moon on May 30th will Neptune and Chiron turn retrograde, whereas Mercury will resume direct motion, setting up the stage for a shift on the mental level that is informed by these latest revelations, whereby the retrograde energies will instigate an inward processing of developing events to facilitate healing and transcendence. Mercury’s station, preceding the waxing square between the Moon in Virgo and the Sun in Gemini, will concentrate the mental energy for us to recognize the multiplicity of creation, from which contradictions arise, and assure us of our ability to overcome them with mental discipline, because our mind is shaping our reality. This “crisis in action” could be a test of our objectivity, demanding from us to consciously select our words. Mars’ ingress into Taurus and subsequent sesqui-quadrate to Saturn in Virgo on May 31st supports the sustainment of our intentions in this regard, demanding control of our impulses and calling for patience to ensure a smooth proceeding that would be guaranteed by Vesta in Gemini’s sextile to Eris in Aries, if we apply mindfulness. On June 2nd will Venus in Aries sextile the triple conjunction in Aquarius plus semi-sextile Uranus in Pisces, providing us with an occasion when we could be the recipients of appreciation and feel validated due to an exciting turn of events. Pallas’ Leo ingress on the 3rd will begin a phase of self-centered strategies and mental creativity. A trine from Mars in Taurus to Pluto Rx in Capricorn together with a semi-square from Pallas in Leo to Saturn in Virgo on the 4th marks the completion of an endeavor that could ready us for other tasks if we concentrate on personal accomplishments. However, the Sun in Gemini and Venus, succeeding her Taurus ingress, will also cast hard aspects to Saturn over the next couple of days, which could represent a tough challenge to our authority, instructing us to stand our ground and to exert an effort toward a satisfying solution, while coming up with concrete steps that also cover the minor details and keep things simple. As we have a chance to build up our Self-esteem when Venus traverses her sign Taurus, we should focus on our Self-interests first and foremost in the process of making a decision, implied by the semi-square between Pallas and the Sun at the time of the Sagittarius Full Moon on June 7th, connoting a confrontation with our personal truth. With the Scorpio Full Moon culminates the seed impulse of the Taurus New Moon, thereby confronting us with a measure of success and failure in regard to ‘the obstacles we had to conquer’, as indicated in the keynote of the highlighted Sabian Symbol at the start of this particular lunation cycle. For this purpose, we had to look down into the abyss, face the darkness within and resist the pressure of our compulsions. Although our security needs might have been threatened throughout the ordeal, thoughts of Self-preservation did most likely prevail and arouse our fighting spirit, causing us to tackle our problem head on in order to prevent a worsening of the situation in addition to saving us from regret. We might have struggled to overcome the inner turmoil and to counteract a sense of imminent panic, but in the end we surely summoned our willpower to withstand the trial, falling back on our resilience and sturdiness meant to become the “cantilever bridge across the deep gorge”. Conclusively, a growing understanding of the vaster cycles at work might have ensued, instructing us to remain committed to our Self-interests and alerted to the trends in our environment to process new information with heightened sensitivity. Patience might have proved to be a virtue indeed and could be paying off soon when things will have unfolded in their own time according to their natural design. To make the best out of the situation, we might have played along, keeping it mainly safe and sane outwardly, while inwardly preparing ourselves for the destination these developments will take us. A process of elimination is reaching a peak now from which we can emerge unscathed if we retained our integrity and kept in touch with our highest ideals. Of importance is that we were willing and ready to establish a basis for trust, honesty and fairness and have fulfilled our part of the contract. It’s not our fault if others couldn’t live up to their promises and abused the situation. If anything, the latest experiences might have taught us to become mentally more flexible to be able to broaden our viewpoint when the circumstances call for it. By adapting to the flow of events we stand a better chance to recognize opportunities and to respond to them wisely. Consequently, our outlook will be more positive, receptive and open to new concepts. Moreover, we could be loosening the grip of deeply rooted emotional complexes, which could have prevented us from further evolving so far. The Scorpio Full Moon marks a cut from things past we have to eradicate from our lives so that a new way of Being can be pursued, whereby our intuition will guide us and clear the path ahead for the next step on our journey. Ceres’ trine to Pluto Rx on May 10th indicates the completion of a stage of inner restructuring that is followed by a quincunx from Mars in Aries to Saturn Rx in Virgo on May 11th and requires a take charge approach in this context. Subsequently, we will have to be decisive as well as mentally agile and versatile on May 12th and might have to focus on minor details for rearranging and rescheduling, which could permit us to strengthen our position on the next day when a firm stance might be in order, prior to Mercury’s retrogradation into Taurus that will correspond to a slow down in our thinking process to enable us to deal with recurring questions and problems in the new light of info we’ve got. Venus’ strenous aspects over the next couple of days will be enforced by a square between Vesta in Gemini and Saturn Rx in Virgo and could be related to the resolve of an issue to which we couldn’t find the adequate answers before or didn’t get around to carry it out. Suddenly, a different angle could change our evaluation of the single factors of this situation and thus our approach of it with the likely result of raking up self-worth issues, daring us to Self-promote and to change our role in the overall picture together with the Sun’s challenging aspects over the next couple of days and in synch with Saturn stationing direct, marking a shift from interior to exterior form-giving. This will be the introduction to the “crisis in consciousness”, associated with the Third Quarter Phase of the lunation when the waning Moon in Aquarius will square the Sun in Taurus. Additional stressful octiles between Mars in Aries and Ceres in Virgo and between Mercury Rx in Taurus and Venus in Aries could create enormous tension on the inside, thereby providing the proverbial trigger to get us mobilized as well as motivated toward reforming our routine in synch with the start of a new Mercury cycle on May 18th, which receives assistance from a square between Pallas in Cancer and Eris in Aries. With our Selfhood tested this way, it’s time to leave our protective shell and engage with the environment on bolder terms. Imprinted with a new quality of will and purpose, a vision of a promising future could take hold over our mind that could direct us along an unfamiliar route, yet align us with our authentic Self. On May 20th will the Sun ingress Gemini amidst a series of dynamic aspects, among them Mercury Rx’s square to the triple conjunction in Aquarius, which has a provocative feel to it that could stimulate a different attitude or response from our side and could bring forward our individuality in unmistakable ways. Strength of character will be an asset, especially in case of flared up tempers during a moment of truth. A delicate issue might have to be re-addressed, leading to re-consideration of all options. We may want to make a choice in our best interest and pursue our own agenda. Thus, personal priorities could push us toward Self-realization, whereby we could enter a phase of hyped up busyness and strong Self-involvement. 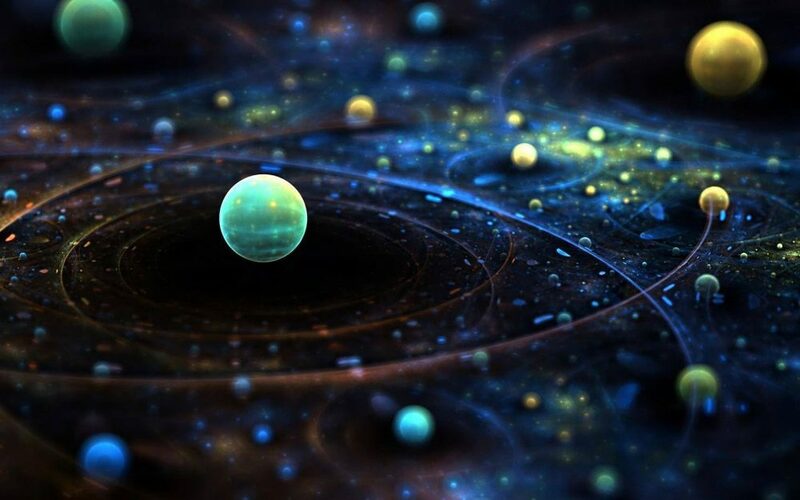 In the larger scheme of things a perceptual shift could inspire a change of perspective, offering us latitude to operate and connect from a new level due to our liberation from negative influences, which would include breaking free from victim consciousness. May 21st could bring an opportunity for personal progress that could demand a quick decision from us on the next day. It’ll be critical to evaluate everything with as much objectivity as we can muster. Still, we would be well advised to not sign or finalize anything as yet due to Mercury’s retrograde until the end of the month. During this phase that will cast its shadow until mid June, things will have to be revisited and eventually revised. If we can keep this thought in mind and don’t rush into something without giving it the proper time for consideration and reflection we’ll have grown in awareness and will apply the necessary foresight before we’ll commit us to anything that could change our life drastically. Jupiter will perfect his conjunction to Chiron in Aquarius on May 23rd, signaling the start of a new cycle of healing through growing awareness and understanding, individually and collectively, and emphasizing that we need to become our own advocates. Listening to the inner voice of reason instead of to the chatter outside will make the difference between thinking for ourselves and being talked into something when we’ll be heading into the Gemini New Moon on May 24th.